Appraising and selling paintings and sculpture is at the heart of every successful auction house. Such a task, however, poses significant challenges, covering hundreds of years of artistic endeavour, in many styles and mediums. Sworders' Paintings Department is led by Amy Scanlon who holds over 10 years' experience with a leading London dealer and with Sworders Fine Art. 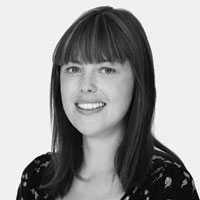 Amy is fortunate to be able to call upon advice from Andrew Bowyer, who has more than 30 years’ experience in the field. Andrew is one of the most respected Fine Art Valuers in the country and is available to advise clients on specialisms including Old Masters, 19th Century European paintings and English watercolours. 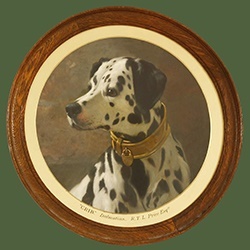 Within the department of Paintings and Sculpture, Sworders conducts specialist art auctions of Modern British and 20th Century Art, headed by Amy Scanlon, and Sporting Art, Wildlife and Dogs, headed by our new paintings specialist Jane Oakley. Further information on each of these sales can be found by following the links below. Old Master, Victorian and traditional works are entered for our Fine Interiors sales, held four times a year. Sworders’ ability to identify and value works from a wide range of schools and periods, combined with careful presentation and marketing, have led to our achieving consistently strong results and some truly exceptional prices. To find out more about our forthcoming sales or talk further about potential consignments, please don’t hesitate to contact one of our specialist team. Ernest Crofts RA (1847-1911) 'IRONSIDES RETURNING FROM SACKING A CAVALIER'S HOUSE' Signed and dated '76 l.l. John Emms (1843-1912) DONNA ELVIRA Signed and dated 'JNO EMMS 1901' l.l.